Play Giants Gold Slots Online | WIN 100 FREE Spins! 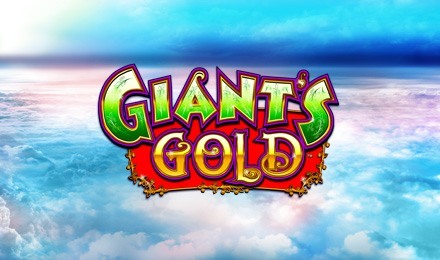 Giant’s Gold slots is a 100 payline slot based on the beloved Jack and the Beanstalk fairytale. The slot includes the amazing Colossal Reels features for extra exciting spins! Play now and win 100 FREE Spins! Giant’s Gold slots Is a 100 payline slot based on the Jack and the Beanstalk fairytale. This slot features Colossal Reels which mean you have a 5x4 reel set and 5x12 Colossal Reels set. What’s great is that you can play from as little as 50p a spin to as much as £100 a spin! If you can land at least 3 Golden Eggs symbols on at least 3 reels on both reel sets, you’ll play a Free Spins feature. Not only are free spin wins doubled, but you can win up to a massive 100 Free spins in the Free Spins Bonus! Play Giant’s Gold today!